After all of my crazy self-help books recently I figured it was time to give y'all a nice contemporary chick-lit fun and easy read to change things up a bit. 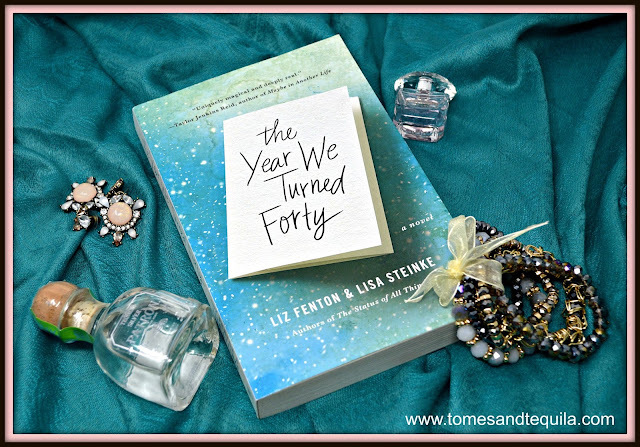 I've had The Year We Turned Forty by Liz Fenton and Lisa Steinke sitting on my To-Read pile for a few months now, since I read their book Your Perfect Life and decided to see what else the best-friends had written together. Just like Your Perfect Life, The Year We Turned Forty mixes modern contemporary literature with a slightly mystical element. Whereas that was slightly freaky-fridayish, this one is all about a magical do-over. The book introduces us to three best friends, Gabriela, Jessie and Claire, at their 40th birthday party. This is a big year for them and it sees huge changes in all of their lives...from giant career explosions to divorce and family deaths, it's a momentous time. We next see them meeting up in Vegas for their 50th birthday extravaganza, where they decide to see a famous "magician" do his big act and are invited backstage after the show to meet the entertainer. He very mysteriously gives them the opportunity to go back and re-live their 40th year over again. There is of course the catch that they all must decide to go...and that at the end of the year, they all must decide whether to stay with their new timeline or return to their 50th birthday..and it's an all or nothing deal. Some want it more than others, but in the end they decide to take the magicians offer and see if hindsight can change their lives for the better. Claire is given a chance to spend more time with her mother who passed away of cancer. If she catches it earlier will things be different? If she changes how she interacts with her daughter, as a single parent, will they have less problems as she matures into an adult herself? And what about that guy that got away?? Jessie lost her husband after she told him their new baby was the product of a one night stand and not their 13 year marriage...but maybe if she keeps her mouth shut this time their marriage will last. I mean, what he doesn't knows won't hurt him right? And the baby's real dad doesn't want anything to do with them....or does he?? Gabriela is about to write the novel of the century...but what if she actually wants to have a baby instead? She'd always said she never wanted children, and her husband had finally come to terms with it. But maybe instead of being a world famous author she really wants to be a mom. But at what cost?? I am giving this entertaining read a 4 stars. It's light and fluffy chick-lit, but I think it would be a great book club pick. It's an easy read, and full of conversation fodder. There were plenty of times I wanted to smack these ladies upside their heads!! But, it really got me thinking...about my best girlfriends...about whether I'd go back to some of the rougher patches in my life and do anything differently, etc. So while being wrapped in a slightly mystical estrogen-filled package, it touched on some incredibly serious subjects. I like some characters more than others, but I think that's par for the course in an ensemble book like this. I'm still enthralled with the fact that two best friends write novels together, and I'll continue to read their books because of it. I think they have two I haven't read yet...and another on the way soon, so I have more opportunities to enjoy their BFF-Litfest. So, if you've been reading too many incredibly deep novels, or nonfiction that has you journaling for hours at a time...working out the many ways to change your life as I have recently, and need a little break...this one might be what you're looking for. Literary Libation: Equal to a Lemon Drop Martini...it's fun and fruity, but deep down it can pack a punch. 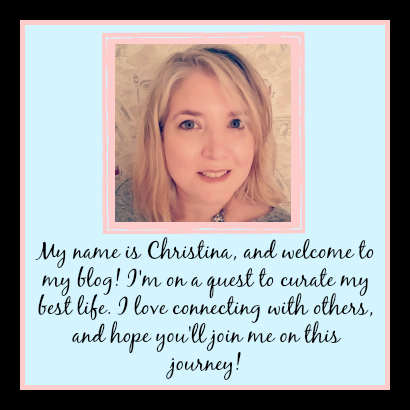 Don't forget, there's still time to enter my book giveaway!! Head over to my giveaway post for the rules to enter, and check out the pinned post on my Facebook page.